Now more than ever, the critical importance of parent–child attachment is being emphasised. The Department for Health explicitly aims to promote secure attachment through the health visiting service and its Healthy Child Programme. Andrea Leadsom’s prime ministerial campaign raised the profile of attachment even further, so much so that she was criticised for ‘going on about attachment theory’ in the leadership hustings. The emphasis arises because of a belief that secure attachment predicts ‘successful’ development in the child. Public Health England’s posters launched earlier this year tell us that ‘a loving, secure and reliable relationship with a parent or carer’ is important in areas ranging from ‘emotional wellbeing’ to ‘brain development’. And this optimal development isn’t merely short-term – we’re told that being securely attached as a baby helps ensure that you’ll form secure attachment relationships decades later when you come to have children of your own. In contrast, insecure attachment is believed to put the child on course for no end of trouble: physical ill health, delinquency, mental illness, substance abuse, poor job prospects, criminality. Graham Allen MP’s 2011 reports calling for early intervention even claimed that early insecure attachment was linked to more risky driving behaviours. You would think that these outlandish claims would sound the alarm bells and lead people to look up the research papers to check the facts. What possible theoretical grounds would lead you to hypothesise that being insecurely attached as a toddler would lead to all of this bad stuff? But claims about the predictive power of attachment appear to have the ability to short-circuit people’s basic common sense, let alone their desire for critical evaluation. The fact is that there’s no strong evidence for parent–child attachment in infancy predicting anything much about children’s later development. Indeed, Booth-LaForce and Roisman’s definitive 2014 study showed that early attachment doesn’t even predict attachment later in development, let alone all of these other things. There is good evidence that how a parent feels as an adult about their childhood attachment experiences relates to the security of the attachment relationship they have with their own child, but this is very different from the kind of attachment you yourself had as a toddler predicting the kind of attachment you’ll have with your future child. So the belief that making all toddlers securely attached will have knock-on positive effects for future generations is patently incorrect. The highly complicated and potentially confusing nature of attachment research is one likely reason for this misplaced conviction that early parent–child attachment is critical for children’s later development. In the 1960s and 1970s, Mary Ainsworth and colleagues devised the strange situation procedure for classifying toddlers into different attachment categories on the basis of how they respond to reunion with the parent after short periods of separation. Toddlers’ attachment to the parent is classified as either secure or insecure, with insecure attachment being divided into three different types: insecure-avoidant, insecure-resistant, and insecure-disorganised. Unfortunately, people still seem to confuse insecure attachment with lack of attachment. Clearly, having no attachment to anyone is likely to have a negative impact on children’s development. But we’ve known for decades that children fail to form any attachment only under the most extreme conditions of social isolation and deprivation. The landmark meta-analysis by van IJzendoorn and colleagues reported the percentages of children in the four attachment categories for multiple circumstances – maltreatment, maternal mental illness, maternal substance abuse – and in none of these categories were children classified as having no attachment. Individual studies often combine the three insecure classifications into a single insecure group in statistical analyses to combat problems associated with low numbers in the individual insecure groups, but it is important to underline how fundamentally different children in the insecure groups are from one another. Treating ‘insecurely attached’ children as a homogenous group is therefore problematic. This fact is highlighted when you come to evaluate claims for insecure attachment predicting non-optimal development in the future. High-profile meta-analyses in the last few years have investigated how early attachment security relates to behaviour problems in later childhood. The results of these meta-analyses are interpreted as insecure attachment predicting higher levels of both internalising (social withdrawal, anxious and depressive symptoms) and externalising (conduct problems and hyperactivity) behaviours. But on closer inspection, the findings are much less clear cut. Avoidant attachment was the only form of insecure attachment that was associated with higher levels of internalising behaviours (but the small effect was only for social withdrawal and not anxiety or depression), whereas it was only disorganised attachment that predicted higher levels of externalising behaviours. Looking closer still at this last association, there were fascinating gender differences. For girls, being classified as insecure-disorganised actually predicted fewer externalising behaviours. Promoting secure attachment in order to ensure children’s ‘emotional wellbeing’ therefore appears to be based on oversimplification and misinterpretation of the evidence. It’s important to point out that attachment is a quality of close relationships rather than an individual trait. We talk about securely attached children, but what we mean is that the child was classified as securely attached when observed responding to that particular parent or caregiver. The fact that attachment is a quality of relationships is illustrated by the finding that the same toddler may be given different attachment classifications in relation to each parent. Surprisingly, we know nothing about how the various different attachment relationships that children form act in concert to shape their development. Complicating matters yet further, attachment is measured in many different ways. Although people tend to associate attachment with parent-child relationships early in the child’s life, attachment can be assessed throughout the lifespan. Many studies measure attachment in adolescents or adults, and these assessments often focus on attachment relationships with friends and romantic partners, rather than those with parents. Scientific papers have reported concurrent relations between attachment security in adolescence or adulthood and things like physical health, delinquency, poor job prospects and criminality, which have been misinterpreted as early parent-child attachment predicting all of these outcomes later in development. Laying so much emphasis on attachment isn’t helping anyone. 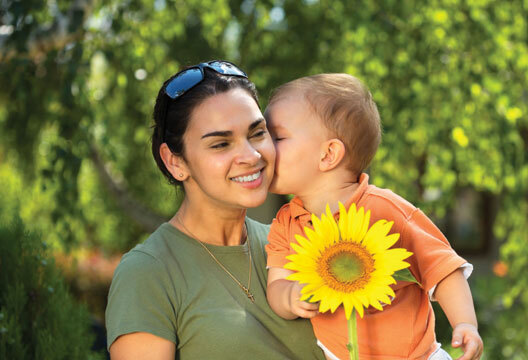 Telling parents that secure attachment in the first two years of life is critically important for their children’s future development is likely to give many parents cause for concern. What if you suffered from mental illness after your baby was born or if your baby was severely ill or in need of special care in the first months and years of their life? Parents are unnecessarily being made to worry that they’ve scuppered their children’s chances before they’re even out of nappies. Insecure attachment is being pathologised and vilified. It is not abnormal – at least 39 per cent of us are insecurely attached. Different types of attachment simply reflect the kind of individual differences you’d expect to see in any aspect of children’s early development. People are perfectly happy with variation in toddlers’ height, weight and ability to walk and talk, but don’t want variation in attachment relationships. Secure attachment is wrongly being set up as a benchmark for all toddlers to attain. Why do we need to talk about attachment? The focus should be on equipping parents with evidence-based information on babies’ development and how best to interact and play with their children as they grow and develop. It seems madness only to want to do this if it means that babies will become securely attached. Surely supporting people to be the most effective parents possible is a good enough end in itself. The attachment literature also provides a nice example of the factor I feel is underrated: resilience. In his 1992 Emmanuel Miller Memorial Lecture, Peter Fonagy succinctly defined resilience as ‘normal development under difficult conditions’. A great deal of research has focused on resilience in response to child maltreatment. Van IJzendoorn and colleagues’ meta-analysis reported that 48 per cent of children who were identified as having been maltreated were classified as insecure-disorganised, compared with 15 per cent of children from regular middle-class families. These findings are generally interpreted as abusive parenting causing children to form a disorganised attachment relationship. But while the incidence of disorganisation in children who have been maltreated is clearly elevated, the inescapable fact is that the majority of these children are not classified as disorganised. And what about the 15 per cent of children growing up in seemingly optimal conditions who are classified as insecure-disorganised? Some children are resilient against non-optimal experiences with their parents, whereas others do not form an organised pattern of attachment despite being exposed to no obvious risk. In fact, in regular middle-class families, insecure-disorganised attachment is just as common as insecure-avoidant attachment and more common than insecure-resistant attachment. It therefore shouldn’t be treated as abnormal and a marker of parental maltreatment. Cicchetti in 1989 and Rutter in 1990 made theoretical advances in understanding resilience, highlighting its complexity and dynamic nature. Resilience shouldn’t be viewed as an individual trait; rather, it embodies a process involving multiple systems – child attributes, family functioning, social relationships, the broader environmental context – at particular points in time. But perhaps acknowledging this complexity served to put people off. A decade later, Luthar, Cicchetti and Becker wrote a review in which they discussed and attempted to counter major concerns that had been raised about the construct of resilience: little consensus about definitions and terminology, substantial variation in operationalisation and measurement, confusion over whether resilience is a personal trait or a dynamic process and an over-reliance on empirically-driven studies rather than theory-driven, hypothesis-based research. These concerns led to proposals that resilience wasn’t useful for understanding development or for informing interventions and should therefore be consigned to the scrapheap. It’s interesting to consider these criticisms with reference to attachment. As discussed above, there is confusion between lack of attachment and insecure attachment, and the heterogeneity in insecure attachment is often ignored. This seems to fit with the problems relating to definitions and terminology. There is also substantial variation in the operationalisation and measurement of attachment – there are observation, interview and self-report methods, assessing attachment to parents and caregivers or to friends and romantic partners. The dynamic nature of attachment and the fact that it is assesses the quality of relationships is frequently ignored in favour of a tendency to see attachment as an individual trait. Finally, many of the studies on attachment, particular those involving adults, are not grounded in theory. When relations with attachment are observed, they are therefore difficult to explain – why should attachment predict your health or job prospects or driving ability? What are the developmental mechanisms underlying these relations? For some reason, people like to believe the attachment story and so it has achieved a degree of immunity to these concerns. Thankfully, the burgeoning interest in genetic and neurobiological mechanisms shaping development means that the concept of resilience has survived. Research in this millennium has shed light on the complex interaction between our genes and the environment in determining resilience and vulnerability. Caspi and colleagues reported the first gene–environment interactions in relation to maltreated children’s psychological development. Variations in the monoamine oxidase-A (MAOA) gene were found to interact with maltreatment in determining antisocial behaviour disorders. Having a particular MAOA genotype made children at an increased risk of having antisocial behaviour disorders if they were maltreated. These findings therefore qualify the assumption that maltreatment plays a direct causal role in antisocial behaviour disorders. Behavioural genetics research has also highlighted how certain genetic factors influence development in indirect ways. For example, particular genotypes make individuals better or worse at dealing with environmental stress, which in turn relates to their mental health. Other genotypes act via environmental circumstances such as parenting – the child’s genetically specified characteristics may trigger maltreatment in the parent. Resilience in this case is characterised not as adapting to difficult circumstances, but as having the predisposition that enables these circumstances to be avoided in the first place. Research in epigenetics has emphasised the importance of the regulation of gene activity over the underlying makeup of the genotype – if environmental circumstances mean that the gene is never expressed, risks associated with particular genotypes will be irrelevant to the individual’s development. Under these conditions, the environment itself conveys resilience. The more we learn about genetic markers of resilience and vulnerability, the more it becomes obvious that predicting children’s development is fantastically difficult. Perhaps this is why resilience has not caught the public’s imagination in the way that attachment has. Simple causal relations are attractive because they are easy to grasp. Understanding the idea that secure attachment leads to successful development, whereas insecure attachment leads to unsuccessful development, isn’t challenging in any way. Getting your head around the complex web of developmental pathways highlighted by the resilience literature is considerably more difficult. But the fact that development is determined by many different factors acting in concert with one another doesn’t excuse giving parents and practitioners incorrect information about what’s essential for children’s development. Surely people need to know that development is a dynamic process in which there is a great deal of instability and change, only some of which relates to how children are parented? This is a much more optimistic view than seeing future development having its course set by the security of the parent–child attachment relationship in toddlerhood. - Elizabeth Meins is Professor of Psychology at the University of York. What do you think is overrated/underrated in psychology? This is a very timely and thought-provoking overview. The idea that insecure attachment is detrimental is particularly pervasive and overlooks the fact that a large proportion of the population are insecurely attached but are functioning well nevertheless. From an evolutionary perspective, a mixture of securely and insecurely attached group members might constitute an advantage, (see Eindor et al., 2010 and Frankenhuis, 2010 for a further discussion). Essentially, we need to move away from thinking about secure/insecure attachment as good/bad and consider how different styles of interaction/self-regualtion/social integration fit within specifc environmental contexts.